Economy: More Utahns fight for their unemployment benefits. It’s no surprise that the ranks of Utah’s unemployed has swelled by roughly 20,900 individuals between January 2008 and January 2009—about a 48 percent increase, according to statistics from the Utah Department of Workforce Services. But Workforce Services has also witnessed another disturbing trend: a significant bump in unemployment-insurance appeals. These appeals are brought by either an employee challenging his or her denial of unemployment insurance or, conversely, an employer challenging an employee’s claim of qualifying for unemployment insurance. 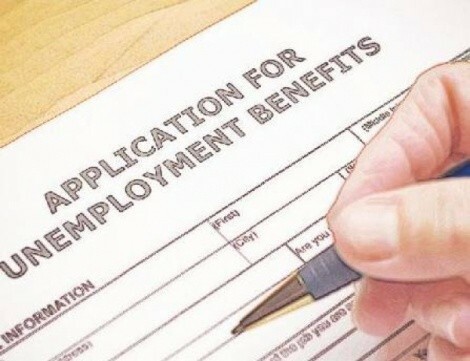 While appeals represent another sign of the times, experts aren’t sure whether the numbers mean more people are simply fighting harder for unemployment benefits or whether employers are cutting costs by denying more employees unemployment. “Our average [unemployment-insurance appeals] over 2007 were 14 percent of our total appeals,” says Curt Stewart, spokesman for Workforce Services. Stewart says the unemployment-insurance appeals for 2008 spiked to 19.6 percent. The majority of claims are made by former employees appealing benefit denials. “In the first quarter of 2009, there were 4,190 appeals. Of those, 3,121 appeals were claimants. That’s roughly three-fourths that went against what the employer said,” Stewart says, adding that only 551 of those claimants won their appeals. Stewart’s office, while closely involved in Utah’s workforce, doesn’t necessarily conduct statistical analysis on these trends. “We don’t really have anything close to explaining why that is,” Stewart says, “other than that jobs aren’t as plentiful as they were once. People are interested in pursuing the appeal instead of saying, ‘Forget it,’ and moving on.” In any appeal, claimants only have a chance if they can show their termination wasn’t due to poor performance but due to being laid off. For Salt Lake City labor attorney Russell Monahan, employers may be tempted to cut costs by arbitrarily terminating instead of laying off employees. While premiums vary depending on the size of the business, according to Bill Starks, director of Workforce Services, 70 percent of employers in Utah pay the minimum benefit rate of two-tenths of 1 percent—which means roughly two-thirds of Utah businesses pay maximum premiums of $57 per employee, per year. Paying out unemployment insurance benefits would elevate those payments. Monahan feels employee claimants are at a disadvantage. They have trouble finding legal representation because it’s difficult for attorneys to recoup legal fees. However, Lauren Scholnick, also a Salt Lake City employment attorney, believes unemployment is one of the more level legal playing fields for employees. “It’s the only forum in the state where the employee gets the benefit of the doubt,” Scholnick says. In an at-will work state like Utah, Scholnick says employers can fire an employee for any reason at all. “The employer can walk in and say, ‘I don’t like your shirt. You’re outta here.’” But, she continues, “If that was the reason given on the unemployment form, that bad reason would mean the employee gets unemployment. “In unemployment, the employer has to have good reason to fire,” Scholnick says. Appealing denied unemployment benefits is more DIY than other legal processes, too, Scholnick says. She notes that Workforce Service administrative law judges are used to dealing with employees and can help guide them through the process. If employees can communicate their case and arrange their own witnesses, they don’t need to hire legal counsel, Scholnick says. Scholnick’s advice for people who have lost their jobs (she’s been swamped by their calls, she says) is, above all, to file for unemployment—even if it seems intimidating. She says some people feel filing for unemployment has a stigma like being on welfare.